Regenerative shock absorber systems have become more attractive to researchers and industries in the past decade. Vibration occurs between the road surface and car body when driving on irregular road surfaces. The function of regenerative shock absorbers is to recover this vibration energy, which can be dissipated in the form of heat as waste. In this paper, the development of regenerative shock absorber is reviewed. 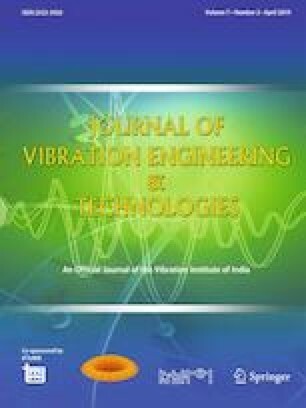 This paper first introduces the existing research and significance of regenerative shock absorbers and reviews the potential of automotive vibration energy recovery techniques; then, it classifies and summarises the general classifications of regenerative shock absorbers. Finally, this study analyses the modelling and simulation of shock absorbers, actuators and dampers. Results show a great potential of energy recovery from automobile suspension vibration. And, the hydraulic and electrical regenerative structures exhibit excellent performance, with great potential for development. Regenerative shock absorbers have become a promising trend for vehicles because of the increasingly prominent energy issues. This research was sponsored by National Key Research and Development Program of China (No. 2017YFB1300900), Science Foundation of the National University of Defense Technology (No. ZK17-03-02, No. ZK16-03-14), Chinese National Natural Science Foundation (No. 51605483) and Sichuan Science and Technology Program (2019JDRC0081). This study was funded by: National Key Research and Development Program of China (Grant number 2017YFB1300900); Science Foundation of National University of Defense Technology (Grant number ZK17-03-02); Science Foundation of National University of Defense Technology (Grant number ZK16-03-14); Chinese National Natural Science Foundation (Grant number 51605483); Sichuan Science and Technology Program (Grant number 2019JDRC0081).